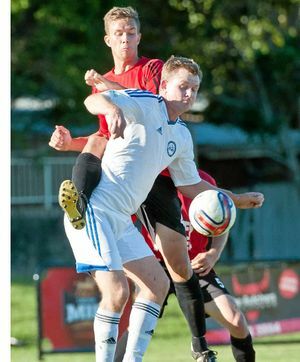 THREE rounds out from the play-offs and the blowtorch is being applied to the leading contenders in North Coast Football Premier League. Boambee Eagles have the women's minor premiership in the bag but Urunga and Coffs United men are fighting tooth and claw for honours of top dog for the matches that matter. The Lions face top-four aspirants Northern Storm tomorrow in the pick of the round and team spokesman Adam Wood said the constant pressure is taking a hellish toll. "At this point, we have a total of eight starting first graders out through injury due to the hectic schedule," he revealed. "We've possibly got the hardest run out of any other team to get through before the finals begin. "But before you hear violins playing in the background, it's a run we seem to face every year so we're pretty much used to it. "Northern Storm will not be an easy task as they are good across the park."